Pavement cracks and joints are not the same. Cracks are caused by deterioration of the pavement. Obviously, pavement is best when it is first constructed. As sunlight oxidizes the pavement and seasonal temperature changes expand and contract the pavement, cracks form. Water, impurities, and debris infiltrate the cracks and continue to degrade the pavement and put the pavement’s subbase at risk. Joints, in contrast to cracks, are not developed by deterioration but instead are built by design. Pavements are known to crack as they age, therefore joints are created when the pavement is constructed to control where cracking may occur. 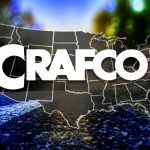 Crafco focuses on quality and long-term performance and therefore manufactures products that have a significant service life like hot-applied asphaltic-based crack sealant for asphalt and cold-applied silicone joint sealant that have demonstrated in independent studies to provide the longest service life available. There are cold-applied crack sealants sold by other manufacturers that may satisfy a short-term need in the marketplace. However, independent studies using cold-applied crack sealants have consistently proven to fail in less than a calendar year and are not manufactured by Crafco. Click here to read more about Pavement Crack Sealing and why Crafco recommends this important part of the pavement preservation process. Crafco Pavement Preservation Sealants are formulated to perform in a wide range of climatic conditions. All sealant specifications meet and exceed ASTM, Federal and State recommendations. 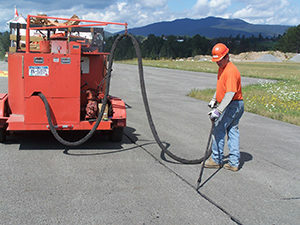 Crafco is the only company that manufacturers pavement preservation sealants and the specialized equipment to apply them. They all work together to provide you the confidence that you are receiving the highest quality, innovation and value available. PLEXI-melt eliminates need for traditional cardboard boxes! Saves Money! The need for an extra crew member is eliminated! Continuously proven to be the longest-lasting crack sealants on the market, the 100+ variations of crack sealants are formulated to perform in specific climates, elevations, slopes, and traffic conditions. In the most comprehensive pavement surface study ever conducted, Crafco hot-applied crack sealant for asphalt demonstrated more than seven years of sealant service life in asphalt pavement, the longest service life, while ~50% of non-Crafco sealants tested “failed” the study. All sealants are not the same. In the same study Crafco sealant demonstrated the lowest average annual cost per linear meter of crack. 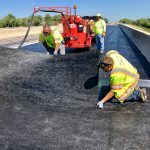 In a separate study, Crafco hot-applied crack sealant for asphalt demonstrated more than 21 years of sealant service life in concrete pavement, the longest ever recorded and published. You can be sure that there is a crack sealant engineered to be the best solution for your individual pavement preservation needs. Crafco hot-applied asphalt crack sealants are available in our new, innovative, meltable PLEXI-melt™ packaging. Parking Lot pavements are subject to slow moving vehicle traffic and foot traffic. These areas include but are not limited to: parking lots, parking garages, driveways, collector and residential streets, crosswalks, walkways and recreation areas. Due to the nature of these types of pavements, special care should be taken when sealing cracks in these areas because they encounter different types of traffic than highways and high traffic volume roads. Crafco Parking Lot Sealant is specifically formulated for these areas. Crafco Loop Detector Sealant is a single component, hot melt, rubberized asphalt material formulated to be a stiff, yet flexible, sealant which is ideally suited for sealing traffic loop detector cuts. Crafco Loop Detector Sealant is a thin, free flowing fluid which pours easily and penetrates narrow traffic loop detector cuts. Crafco RoadSaver Silicone sealants are uniquely formulated, low-modulus sealants produced for sealing joints in Portland cement concrete pavements. The sealants are supplied as single-component, moisture-curing materials which provide lasting weather-resistant, flexible seals. 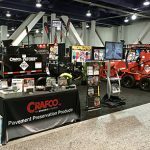 Crafco hot-applied asphaltic sealant demonstrated more than 21 years of sealant service life in concrete pavement, the longest ever recorded and published. Crafco RoadSaver Silicone SL is a low modulus silicone which offers the performance and durability characteristics of conventional non-sag silicone with the ease of installation of self-leveling materials. Crafco RoadSaver Silicone SL is supplied as a ready to use one component moisture curing system. Independently proven to perform for 21+ years. See brochure for more details. 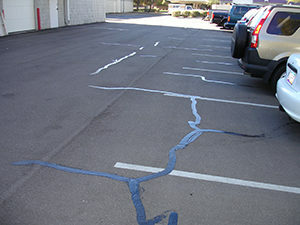 For cracks in pavement less than 1.5” (38 mm) wide, Crafco recommends crack sealing to extend the life of the pavement. Contact one of our representatives today at sales@crafco.com for more information.